These days there are lots of supplements out there that are designed to complement your diet plan. And when you think of protein shakes along with other types of powders, you may naturally think of weightlifting and bodybuilding but there is a lot more to them than that! Protein shakes and powders can be a great way to help you lose weight. They work by reducing your total calorie input and this has the accumulated effect of helping you to shed those extra pounds. Many of us finish the year by eating and drinking perhaps a little more than we should, after all it is the holiday season! And as a result, we see the beginning of the next year as a time to diet and get fit. 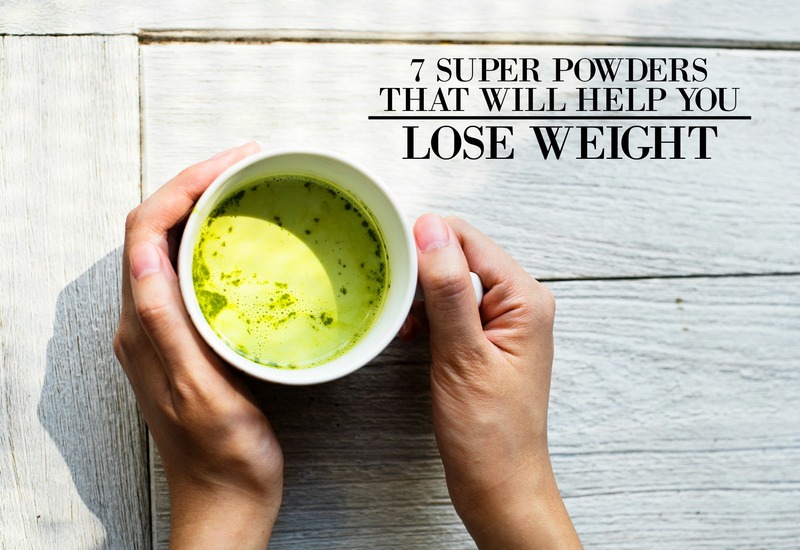 And these super powders are a great place to start! Whey protein is one of the most popular protein powders available today. It is a dairy protein which is essentially a by- product from cheese making. Whey protein is an ideal weight loss supplement because it causes you to burn fat after you’ve consumed it. The downside of this type of powder is that it’s a dairy product and so it’s not suitable for vegans or those who are lactose intolerant. Whey protein is available in many different flavors and is usually the first thing that comes to mind when people think about protein shakes and supplements. Known to be one of the tastiest protein powders and boasting a pleasing texture, this powder has a good yield of amino acids. You will need to consume slightly higher quantities of this type to benefit in the same way as whey protein. This is another dairy based powder but it differs from whey protein because it’s derived straight from milk. It’s also different from whey because it is absorbed more slowly. In terms of the benefits to weight loss, this means that you will fill fuller longer. This is an ideal powder to use if you plan on using protein shakes to replace meals. Another one that has a high amino acid content and many other benefits. This is great if you plan on using it as a meal alternative. It is made by extracting soluble protein from yellow split peas and is an excellent alternative for vegans and those who have lactose intolerance. Hemp is a pretty good option to take although it is worth considering that it doesn’t pack in as much protein as the other powders that we’ve talked about. It is a brilliant option for vegans and has more of an earthy taste than the other plant based protein options. This powder is very low in fat and has an excellent amino acid content. Also, it is lactose free. Even though it is not as common as whey powder, it is still definitely worth a try and is rich in nutrients and an excellent source of high quality protein. While this may not be a protein powder, it is still worth a mention (especially when you can use it with other protein powders). Matcha is great for boosting your energy and metabolism while filtering tons of nutrients into your body! Definitely put this one in your breakfast shake. It just goes to show how much variety there is when it comes to looking at these kinds of supplements. Whatever your needs and your lifestyle are, you should certainly be able to find one that suits you. So take a little look around and give your weight loss goals a helping hand.